NNigeria is located in Western Africa, bordering the Gulf of Guinea, between Benin and Cameroon. Nigeria has the largest economy in Africa. 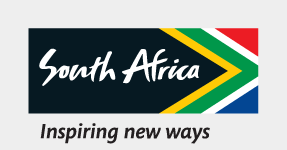 It is an emerging market with growing financial, communications, technology, service and entertainment sectors. There are more than 250 ethnic groups: Hausa and Fulani 29%; Yoruba 21%; Ibo 18%; Ijaw 10% and other minorities. Muslims make up half the population, Christians 40% and indigenous religions 10%. Nigeria people are proud and strong, and take great effort to greet a person properly. Always make sure you take the time to enquire after the other person’s health, studies, work, family and so on. English is the official language, but more than 500 languages are spoken in Nigeria. Download our PDF to find out more about Nigeria's trade statistics, economy and more.